This little utility is called Unknown Devices and it works with Windows 95, 98, 98se, 2000, XP, 2003 and Vista. It’s also a portable application so it requires no installation. 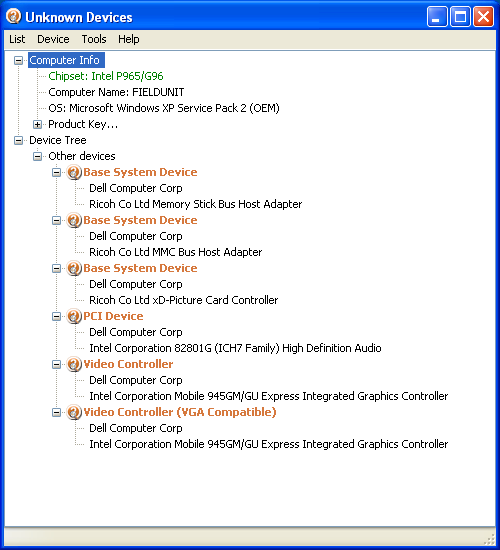 When you run it, Unknown Devices immediately lists out all of the devices that Windows cannot find a driver for and tells you what each one is. 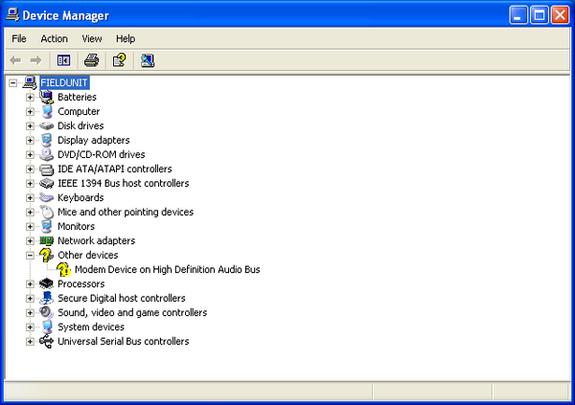 In this example I have a modem that I cannot locate the driver for because I don’t know who the manufacturer is. When I run Unknown Devices, it tells me that the device is made by Context Systems. 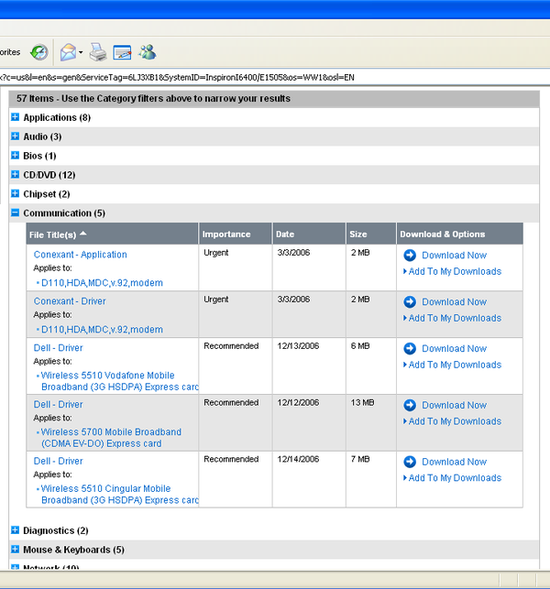 I am now able to use this information to download the appropriate driver from the computer manufacturer’s website. If you have experience with other utilities like this or other methods of determining unknown devices, please feel free to share. A couple of other options that people may find helpful are Driver Magician and Unknown Device Identifier. 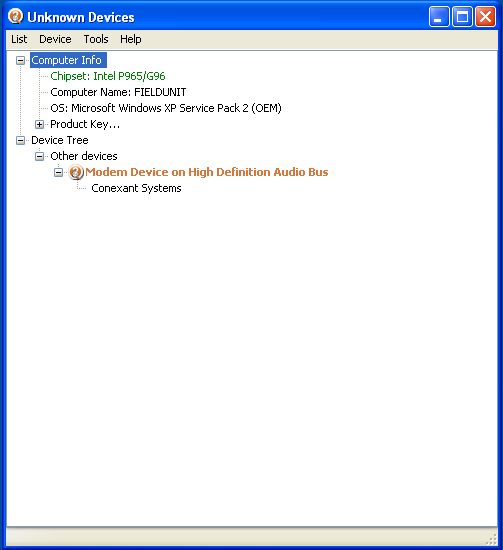 You can also lookup PCI devices by VendorID or DeviceID at http://www.pcidatabase.com. I’ve really been enjoying Driverpacks lately. 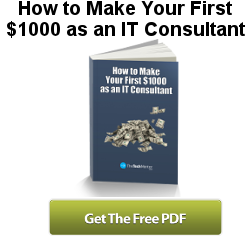 Basically, download all the .7z files, extract them to a directory, and burn to a DVD. Now, whenever you have an unknown device, throw the DVD in, update the driver, and say ‘search removable media’. It’ll grind away for a minute or two, then install it! I’ve only ever had problems during recent Vista downgrades, or on the newest laptops. Also, I split the Graphics drivers (790 MB) to a DVD, and everything else to a CD – not as many drivers to go through when you’re not doing graphics. Thanks for the info on Driver max .Now maybe this resolve this issue when reformating cpu . In my humble opinion, I think Everest is great. Not only gives it a list of every device, which manufacturer and the site to get the driver downloaded, but it also measures all of the temperatures of any piece of hardware in the PC. can anyone tell me any website wher i get all sound drivers and easy installation???? ?